Pirates on a treasure hunt. An ancient weapon lost long ago. Only these two can save the Overworld. Trish never saw herself as a hero. She lives in a quiet village and spends most of her time happily crafting. But when a gang of pirates throws her life upside down while searching for a legendary weapon called the Blade of the Sea, she ventures outside of the safety of her village to find it before they do. With only her wits and crafting skills to help her, Trish fights zombies and creepers, explores secret temples, battles pirates, and solves mind-boggling puzzles. Even after befriending a wolf, she's in way over her head. She soon learns that the Blade of the Sea protects an even bigger secret. According to legend, it is the key to an ancient treasure with the power to bring the world to its knees. Patrick thought he'd left his pirate days behind him, but when his village is burned and pirates take him, he realizes the're no escaping the pirate life. They take him to an underwater city, the fortress of the pirates and residence of Captain Blackheart. 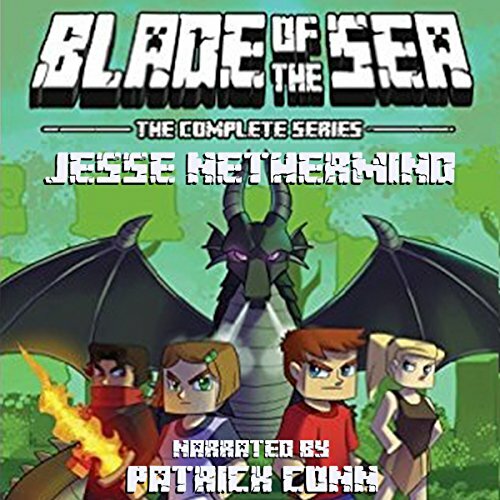 These pirates believe Patrick knows where to find the legendary Blade of the Sea, and mean to use him to take over the world.